Quantiloop offers extensive support for MIDI control. All major actions, track control, start/stop, rhythm, faders etc, can be fully controlled through MIDI. If your an instrumentalist you want to keep your hands free and control the looper from a foot pedal, or you may just want to have more tactile feedback and control the volume with physical faders. All looper actions: (Rec/Play/Dub, Stop, Toggle Fx etc): CC messages or Note On/Off messages. NOTE: Although latching controllers are supported Momentary CC messages are preferred as this will allow the assignment of “hold” actions to a controller, which enhanced the possibilities. Also many latching controllers send messages when you release a switch rather than press the switch. This causes timing issues as messages are not send in time. 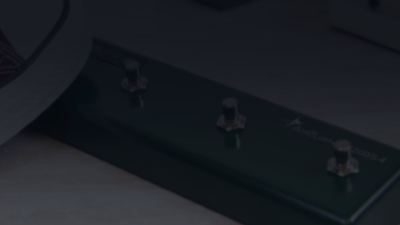 Examples of supported controllers are: Line-6 Helix, FCB-1010, SoftStep, AIRTURN MIDI compatible controllers, IRIG Blueboard and many many more. Note that wireless controllers do introduce additional latency due to the wireless connection. For best performance we recommend to use a wired controller.